Kosambi gave his academic manifesto in the essay, “Adventure into the Unknown” which also is one of the places where he wrote that Science is the cognition of necessity. (It is quite another matter that the phrase is not one that can be understood in a straightforward manner. Anyhow, as a quote its famous enough.) Reprinting that essay in its entirety seemed appropriate, as also another note “On Statistics” that gives a flavour of DDK’s interdisciplinarity, mixing statistics, erudition, Marxism, etc. The last of the non-mathematical writings is a project completion report submitted by DDK to the Tata Trust in 1945 and it permits, among other things, an inner view of a vastly gifted and somewhat frugal scholar who, in parallel, and for Rs 1800, carried out 6 research projects on issues as diverse as writing a mathematical monograph on Path Spaces, editing a concordance of Bratrihari‘s epigrams, and constructing an electromechanical computational device (the Kosmagraph), among others. PANAH: The 10th edition of D D Kosambi Festival of Ideas is scheduled to be held from February 13 to 17 at Kala Academy, Panaji. This year will also have an impressive line-up of stalwarts from various fields who will conduct intellectually stimulating sessions for the Goan audience. Speakers this years are National Geographic explorer and wildlife photographer, Sandesh Kadur who will speak on India's mountains of life on February 13; while professor at Tata institute of fundamental research, Mumbai, Shubha Tole, will speak on 'wiring up the brain' on February 14. A professor at Newcastle University, UK, Sugata Mitra will speak on the future of learning on February 15. Professor of international mental health and welcome trust principal research fellow in clinical science, UK, Vikram Patel will speak on 'People's health in people's hands: Reimagining health care' on February 16. The concluding session on February 17 will be by founder, BoP HUB, world toilet organization, Jack Sim. He will speak on creating a global movement for sanitation. Live telecast of the lectures will be screened on local channels as well as on the website of directorate of art and culture. Panaji: Experts with great oratory skills have been given priority over celebrity status at the 10th edition of DD Kosambi Festival of Ideas, that will be inuagurated on February 13 at 5pm at Kala Academy. "Over the decade, we have had to attract crowds by inviting glamourous speakers. But this year, we have given importance to good orators over celeb quotient. These speakers will deliver strong content in their talks," said art and culture director Prasad Lolyekar. The festival will open with Sandesh Kadur's talk on India's mountains of life on February 13. 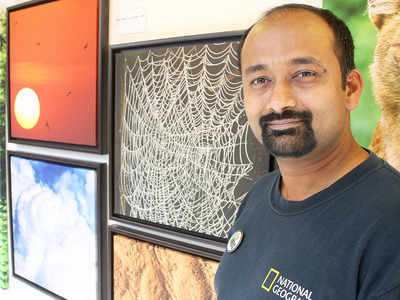 An award-winning wildlife photojournalist and documentary filmmaker, Kadur, through the use of still images and videos, exposes the need for conservation and protection of the planet's biodiversity. On February 14, Shubha Tole, a neuroscientist whose research involves investigating the development and evolution of the mammalian brain, will speak on 'wiring up the brain'. Sugata Mitra, known for his 'Hole In The Wall' experiment wherein a computer was embedded in a Delhi slum wall in 1999 for children's use, will speak on the future of learning on February 15. Co-founder of NGO Sangath, Vikram Patel will speak on 'people's health in people's hands: reimagining health care' on February 16. Patel was listed in TIME Magazine's 100 most influential persons of the year in 2015. The concluding session on February 17 will be by Jack Sim, who founded the World Toilet Organization in 2001. Sim, widely known as 'Mr Toilet' for breaking the taboo around sanitation, will speak on creating a global movement for sanitation. It is due to Sim's efforts that November 19 has been declared as UN World Toilet Day. The festival will be inaugurated by IAS officer Daulat Hawaldar. MARGAO: Stating that Buddhist scholar and Pali language expert D D Kosambi, who had no formal education, was the most original thinker the country had seen in the last 500 years. Literary scholar and cultural activist, G N Devy said the Goa government must consider setting up a centre in his name. "It was he who introduced B R Amedkar to Buddhism and who introduced Marxism to India. India wouldn't have known about the ancient Pali language, if it wasn't for Kosambi who revived it. He made the entire world his domain for thinking," Devy said, adding that a centre named after him will be a great contribution to his legacy. Scholars have written copiously on the foolishness of discounting the role that myths play in understanding life and society, and the value of fiction, stories and tales passed on. Broadly defined as a story of the past, history has come to mean much more. In a society which is so diverse, it has often come to mean very different things to different people. History is a story that needs to be told cautiously sometimes but nevertheless must be told, taught and studied. The bid of the Indian Council for Historical Research (ICHR) to announce that it is now going down the route of collecting detailed “folklore”, “custom” and “only documenting what is heard”, about the very distant past, appears fraught with monumental issues. Scholars have written copiously on the foolishness of discounting the role that myths play in understanding life and society, and the value of fiction, stories and tales passed on. To be unmindful of prevalent legends would leave us the poorer in comprehending much harder material truths. But problems begin, when legends, myths and history are all sought to be confused. The function of recording, teaching or studying History, is surely to learn lessons from the past, to be familiar with compatriots, to learn and unlearn about other lives, or at least that is the purpose we hope history serves for us, when taught in schools and beyond. Historiography is serious and contested terrain but ground rules about what constitutes evidence and what hearsay suggests that it is very important that the difference be maintained. There is no harm therefore in knowing about myths and legends, but to be able to tell clearly what a piece of pottery, jewellery, a grave or a monument or cooking utensils tell you about people long gone before us should be a priority in a vast and old civilisation like ours. History is more important, when governments are involved in writing (and rewriting) textbooks. Textbooks being among the most useful ammunition to control young minds. The1980s phase in our neighbouring state of Pakistan survives uptil today in dangerously altered textbooks, or how history is studied in middle-schools. A recent project by two Pakistani scholars, Qasim Aslam and Ayyaz Ahmed, studies how differently Indian and Pakistani textbooks, learn about exactly the same facts. Not that India has got it all right, but the necessity of feeding myths to Pakistan was such a dominant idea there, that History was firmly pushed out of the frame. Myths, being privileged over history writing, have been known to serve a useful political purpose. The myth of Aryan supremacy would have been a useful account to spin support for the Nazi view of the world in its time. When the ‘superiority’ of White-skinned plunderers in Africa had to be established, myths and legends, hearsay and anecdotes over years would have been a useful tool to establish why it was the way things should be. Which of us has not heard a story whispered at a monument which says the exact opposite of what we have known to be a recorded fact about the monument/area/people? If only to avoid history from repeating itself, either as tragedy or a farce, it may be well worth the while of institutions like ICHR, tasked with serious historical research to do exactly that. Myths have a place, but for India to have a functional present and future, they must not be confused with history. The Centre for Gandhian and Peace Studies, Manipal University, in association with Centre for Vedic and Linguistic Inquiry will organise a seminar titled ‘Kosambi memory’ here on July 2 in memory of the late D.D. Kosambi, historian, mathematician, numismatist, and statistician. A press release here on Thursday said that the seminar was being organised on the occasion of Prof. Kosambi’s 50th death anniversary. The speakers will include K.P. Rao, founder-director, Centre for Vedic and Linguistic Inquiry, Manipal, Surendra Rao, retired professor of History, Mangalore University, and Varadesh Hiregange, Director, Centre for Gandhian and Peace Studies. The seminar will begin at 10.30 a.m. at LH 1, first floor, Old TAPMI building. K.P. Rao, software expert and Director of Centre for Vedic and Linguistic Inquiry, speaking at a seminar on D.D. Kosambi in Manipal. B. Surendra Rao, retired Professor of History, Mangalore University, has said that though the late D.D. Kosambi used Marxist notions of history, he was not a reductionist. He was speaking on ‘D.D. Kosambi’s contribution to history’, a seminar organised by the Centre for Gandhian and Peace Studies, a constituent of Manipal University, and the Centre for Vedic and Linguistic Inquiry, here on Saturday. According to a press release issued here on Sunday, Prof. Surendra Rao said that Kosambi considered himself a Marxist, but “official Marxists” did not consider him as a Marxist. In this context, the differences between Kosambi and S.A. Dange were worth noting, he said. A historian was one who looked at the present rooted in the past. Myth was a different order of reality. Socialism would not be redundant so long as there was socio-economic injustice. In his ‘Exasperating Essays’ and ‘Myth and Reality’, Kosambi was precisely trying to make use of this perspective. 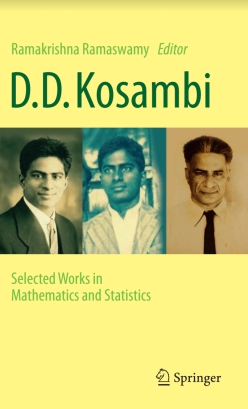 Eminent historians such as Romila Thapar and Irfan Habib had profusely acknowledged Kosambi’s contribution to history, Prof. Rao added. K.P. Rao, software expert and Director of Centre for Vedic and Linguistic Inquiry, said that about five decades ago, Kosambi argued in favour of solar energy against atomic energy even while working with nuclear scientist Homi J. Bhabha. Varadesh Hiregange, Director of Gandhian and Peace Studies, who delivered a lecture on Prabhaker Acharya’s essay on Kosambi’s thesis with regard to ‘Urvasi myth of Rigveda’, said Kosambi’s approach to Rigveda was anthropological. Believe it or not, India has set an ambitious target of adding 100 gigawatts of solar power by 2022. Before the Paris Climate Summit, it had pledged that by 2032, it would increase its share of non-fossil fuels to 40 per cent of the total power generation capacity. These decisions have come many years after India under the leadership of Prime Minister Manmohan Singh had signed the controversial civil nuclear agreement with the United States with a view to meet its energy requirements. So, clearly, solar energy is the flavour of the season. This reminds me that there was a time in the 1950s and early 1960s when those who advocated solar energy could be pitted against the scientific and technological establishment of the country and viewed with suspicion. D. D. Kosambi, a polymath genius who made seminal contributions in pure mathematics, quantitative numismatics, Sanskrit studies and the study of ancient Indian history and culture, was one such individual who came in direct conflict with the Department of Atomic Energy because of his strong views against the use of nuclear energy as he favoured solar energy in its place. He also had to cross swords with Homi Jehangir Bhabha, widely recognised as the father of the Indian atomic energy programme. It was Bhabha who had invited Kosambi in 1945 to join the recently established Tata Institute of Fundamental Research (TIFR) and help set up the School of Mathematics. In the initial years their relations were very cordial (as it is clear from Kosambi’s scribble on the newspaper cartoon that he forwarded to Bhabha) but soon differences cropped up as Kosambi emphasised that a country like India that received sunshine in abundance must place greater reliance on solar energy. That he was a die-hard Marxist, who was very active in the international peace movement, did not help matters. In the 1950s, the Department of Atomic Energy had started funding TIFR and Kosambi’s continuance there became untenable. Moreover, the fact that he had also emerged as a major historian who had brought about a paradigmatic shift in the study of ancient Indian society also made his fellow scientists view him with suspicion as his non-scientific interests were not considered compatible with his senior position in TIFR. Recently, Three Essays Collective brought out a collection of Kosambi’s essays titled “Adventures into the Unknown”. Ram Ramaswamy, Professor of Physics at the Jawaharlal Nehru University, has edited this volume that contains hitherto unpublished material. In his preface, Ramaswamy informs that in 1960 Kosambi gave a talk to the Rotary Club of Poona and the text has been published here as “Atomic Energy for India”. In this essay, he underlines the need for research and development in the field of solar energy, a need to which our government seems to have woken up only recently. “Solar energy,” Kosambi says, “is not something that any villager can convert for use with his own unaided efforts, at a negligible personal expenditure, charkha style. It means good science and first-rate technology whose results must be made available to the individual user.” Nuclear disasters like Chernobyl and Fukushima have proved visionaries like Kosambi right. In 2013, Prof. Meera Kosambi, the sociologist daughter of D. D. Kosambi, edited a book that contained writings of her as well as on her father. Titled “Unsettling the Past”, it was published by Permanent Black. It also contains two other essays of Kosambi on the question of solar energy that were written between 1957 and 1964. In “Sun or Atom?”, Kosambi draws our attention to the fact that scientific and technological research in the developed world is inextricably tied to the military-industrial complex and therefore solar energy was being ignored. As India finally turns to solar energy, it is very refreshing to read these essays that were written more than half-a-century ago. Panaji: The state government has revised the D D Kosambi Research Fellowship scheme. The objective of the scheme is to encourage Goan scholars to undertake research in the field of Goan history, culture, arts, social studies and related areas. Three fellowships, under the scheme, will be awarded every year by the state - at the junior level, at the senior level and at the post-doctoral level. "Only topics that are closely connected to Goa will be accepted. However, authentic topics pertaining to Goa may also be considered for the fellowship depending upon the decision taken by the expert committee," the revised scheme document reads. An individual who has completed post-graduation and is 35 and younger will be eligible to undertake research in the junior category. For the senior category an individual who has completed post-graduation and is above the age of 35 will be eligible. And for eligibility at the post-doctoral level, the individual will have to have completed PhD. There is no age bar for the third category. "In case of exceptionally talented scholars of proven record with authentic work to their credit, the rules regarding educational qualifications may be relaxed, if recommended by the selection committee. The fellowship shall be awarded to any scholar only once in his lifetime under each category," the scheme states. Eligible scholars for junior category will be awarded a fellowship up to Rs 10,000 per month for a maximum period of two years, on case-to-case basis. Scholars in the senior and post-doctoral category will be awarded a fellowship of Rs 20,000 per month for a maximum period of two years, again on case-to-case basis. Every year, the department of art and culture will release an advertisement inviting applications for the "D D Kosambi Research Fellowship" for scholars and a selection committee constituted by the government will select scholars for the fellowship. The project report in the form of two hard copies and a soft copy will have to be submitted within a period of 30 days after the completion of two years of the fellowship. The project submitted will be exclusively the property of department of art and culture, as per the scheme guidelines.